I am completely in awe and inspired by what Becky has achieved. Thank you for sharing her story Steph. Thanks Brigid!! 🙂I’ll pass this along to Becky. Thank you for posting other people’s stories on your blog. 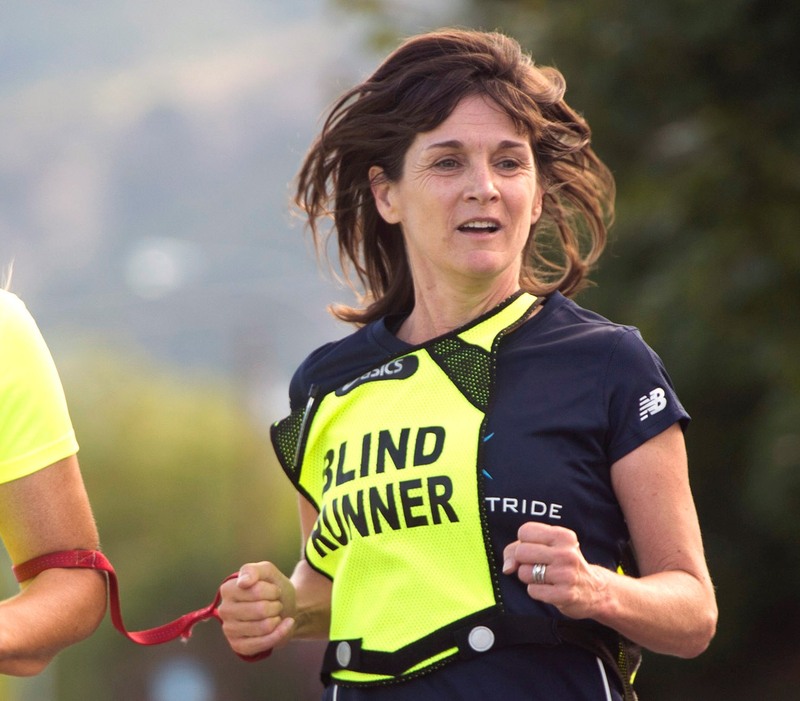 I love reading about how other blind women live and do life WITH vision loss. It is such an encouragement for me to look forward and not backwards. So now I know two women of great determination and style. Nice to meet you Becky, always lovely to see you Steph. Thank you David. Great to meet you as well! The advice from counselor Marianne is THE best advice I have ever heard. It applies to many situations. Vision, paralysis, amputation, incurable diseases like MS. Thank you both for sharing this today. Thank you. Wishing you the very best! Agree … such a sweet, wise message from Marianne. Hi George, I really appreciate positive messaging that is applicable in many situations because I think they are especially relatable. Wow. Very nice. I particularly like the addendum to the famous door closing/opening quote with “longingly not looking back at the closed doors. You can do this.” Hey, I aim low. I just ask that people stop opening doors without telling me! Thanks for sharing Steph and Becky. Isn’t that the truth!! Love your sense of humor :). I think people mean well, but they see me coming with my cane walking towards a door and they’re determined to open it for me no matter what—but of course rarely all the way, leaving it at a diagonal so that I will likely crash into it. And if I survive that, I loose my orientation preventing me from knowing which is the side to go into. And in doing this, they’re usually standing in front of the door so that I hit them with me cane and generally trip all over them. Thanks for stopping by, reading, and commenting Carla. I’m going to be sending you an email shortly. Carla, the same thing happens at doors to me with my wheelchair. I appreciate help with heavy doors, but people do exactly the same as they do to you. I have to be so careful not to run over their toes and get through a half opened door. I usually tell them to watch their toes because I don’t like to run over toes accidentally. WOW. This is incredibly inspiring. Thank you Alyssa for your kind words! We each have a story and grateful to get to share a little bit of mine.